The CFE Technology variable pitch axial flow fan has three distinct benefits that make its use desirable in today’s environment of high energy and capital costs. Our axial fan’s high efficiency over the operating range reduces power requirements and helps cut operating costs. 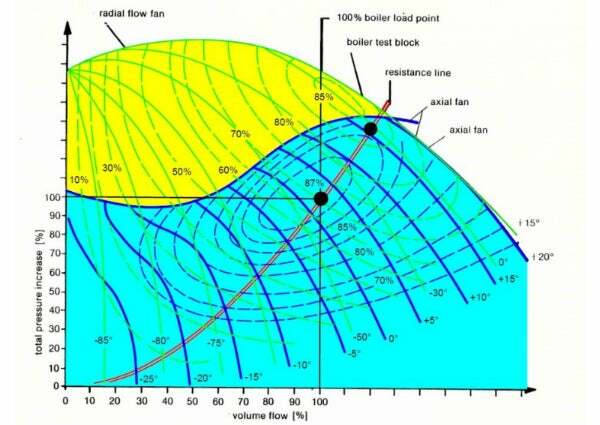 Figure 1 shows a typical performance field of a variable pitch axial flow fan (blue area) versus a centrifugal fan with inlet vane control (yellow area) showing the shape of the efficiency curves relative to the plant demand, or system resistance line (shown in red). As can be seen, the iso-efficiency contours broadly follow the system resistance line, meaning that efficient operation is maintained across a range of load points. The resulting benefit is that net system operating power requirements will be minimised. Maximum design conditions or test block conditions remain within the control range of the performance field. 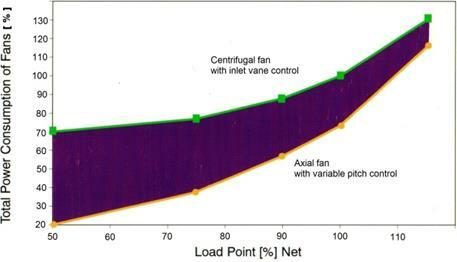 Figure 2 illustrates the advantages of this performance characteristic in terms of the greatly reduced part-load power requirements inherent in our axial fan design. 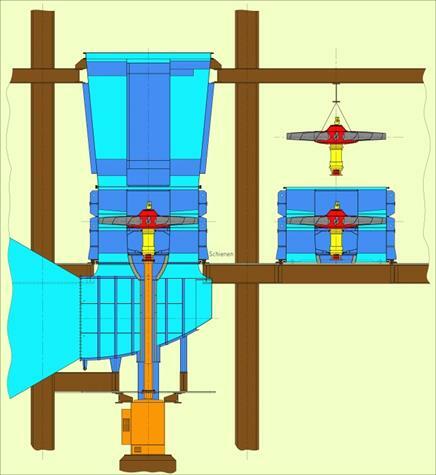 This comparison was developed using actual operating data for a large utility boiler, calculating the power requirements for axial flow primary air and forced draft fans, compared with equivalent centrifugal fan selections. Axial fan designs offer high savings both at 100% boiler Ioad and especially at part load conditions. The aerodynamic characteristics of axial flow fans are such that there is essentially no limitation to the size of fan that can be built. Because of the high availability, two fans in parallel operation can be replaced by one fan in single operation. This feature cuts costs by minimising the number of fans and reducing related auxiliary equipment, flues and ducts. Again, overall energy consumption is significantly reduced. 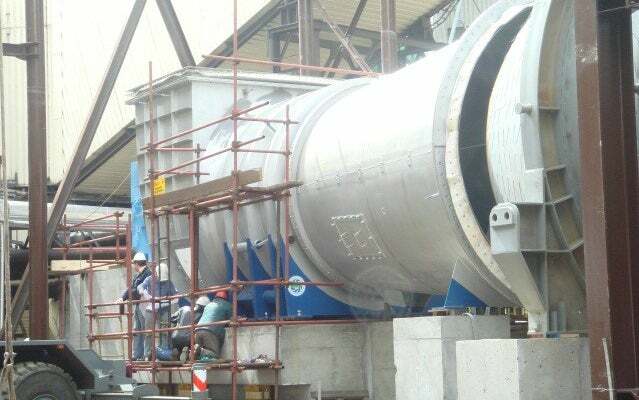 CFE Technology axial flow fans may be mounted either horizontally or vertically to fit any plant design. This feature is especially important when plants are retrofitted with pollution control equipment and space is at a premium. Cast aluminum for Iow temperature, clean air applications. Carbide alloy coatings where required to protect against solids erosion. The axial flow fan designs also include horizontally split housings to provide ease of maintenance and accessibility, as well as blade counterweights designed to prevent rapid closing of blades in the event of a power loss to the hydraulic system.